Harrod UK has 6 sets of netball posts to give away to 6 deserving netball clubs across the country. The netball posts will be the newly launched telescopic netball posts so that all ages can benefit from this competition. click here to see our new telescopic netball posts. The dates that this competition will run from are the 17th September until the 17th November. Harrod UK In association with England Netball have teamed up to bring you this amazing opportunity to win your club a set of brand new shiny netball posts! 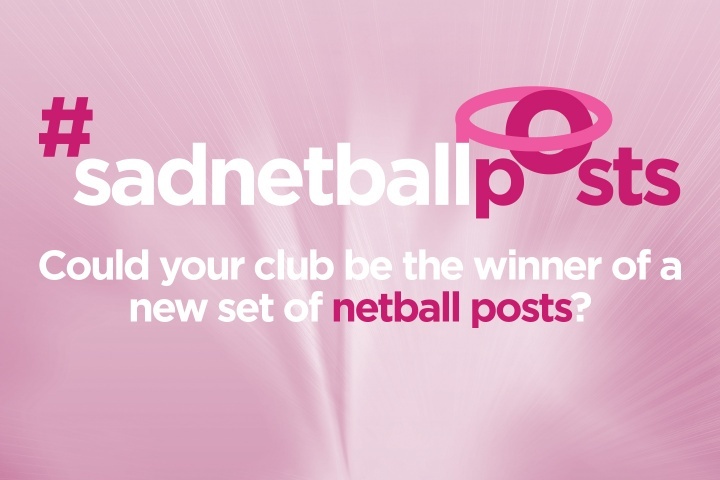 For your chance to win please simply get your netball club to send in a photo of your #sadnetballposts and your team members showing how sad they are to sportsmarketing@harrod.uk.com including a description of why you think you deserve to win and make sure you follow on twitter https://twitter.com/HarrodUK and on facebook https://www.facebook.com/HarrodUkLtd/ and Instagram https://www.instagram.com/harroduk/ make sure to post your photos on social media and share, share, share!!! Entries will close at 12pm on Thursday 17th November and the winning clubs will be chosen by members of England Netball. Winners will be notified via twitter or facebook. The posts will be delivered to the address that is provided. Winners must respond with their contact details via a direct message in a timely manner, or risk forfeiting their prize to another participant. Only people attached to official netball clubs can enter and will be accepted. Any entry made by a false or corporate accounts will be declared null and void.